For Asset Managers, the Right CRM Should Be More than a Customer Database: Does Your CRM Have What It Takes? June 5, 2018 · AKA Enterprise Solutions · Comments Off on For Asset Managers, the Right CRM Should Be More than a Customer Database: Does Your CRM Have What It Takes? 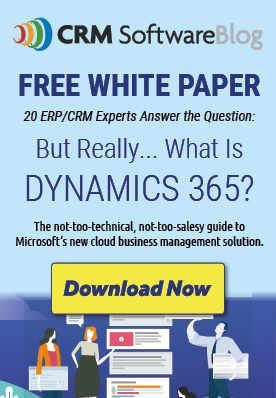 SIX REASONS YOU NEED A CRM AND WHY MICROSOFT DYNAMICS IS THE RIGHT CHOICE FOR YOU! November 29, 2016 · Brian Begley, enCloud9 Social/CRM · Comments Off on SIX REASONS YOU NEED A CRM AND WHY MICROSOFT DYNAMICS IS THE RIGHT CHOICE FOR YOU!